The entire processing sequence is wrapped up in ecologically responsible handling of plastics. What happens today with PE, PS, ABS or PET and CFRP, when it reaches the end of its initial service life? Experts from all over the world will find solutions to this issue at the Fakuma international trade fair for plastics processing in Friedrichshafen from the 16th through the 20th of October, 2018. In particular where plastics processing is involved, recycling is in great demand. Even high-tech materials like CFRP are being recycled more and more frequently and reused for new purposes. The prevention of so-called “downcycling” by means of modern processes and recycling of materials sorted according to type is important in this respect. “The plastics industry has been becoming more and more sustainable for a number of years already”, says Fakuma project manager Annemarie Schur. This not only applies to the recycling of materials, but rather to energy-saving and thus more economical manufacturing processes, energy-efficient machines and biodegradable plastics as well. And the sustainable alternatives are in no way inferior to their conventional predecessors with regard to durability, processability and weight. More and more products are being manufactured today with the help of plastics and composites. Simultaneously rising demand for better and better performance, as well as top quality, necessitate an innovative spirit and new developments. In addition to new “green” products, Fakuma will also present all of the components and systems which are required for conventional as well as innovative processes. Whether injection moulding, extrusion, thermoforming, foaming or 3D printing is involved – raw materials producers, machine builders and manufacturers of precision parts will present all they have to offer in the way of innovation for the entire process sequence and value chain in Friedrichshafen. “For many exhibitors, Fakuma is a highly practical platform for unveiling their innovations to the public for the first time”, adds Annemarie Schur. In the field of plastics too, processing sequences are being automated to an ever greater extent. Demand for Industry 4.0-compatible systems and components which permit inline production steps and quality control is growing rapidly. Where handling is supported by modern robotics and software provides target-versus-actual comparisons in real-time, multi-variant production is becoming more and more economical in the plastics industry. Beyond this, plastics processing companies are now becoming more and more globally aligned. A large variety of variants, smaller manufacturing lots, make-to-order production and shorter product lifecycles are presenting manufacturers of plastic parts all over the world with tremendous challenges. This is demonstrated by the fact that people from all over the world are fascinated by the trade fair for plastics processing. 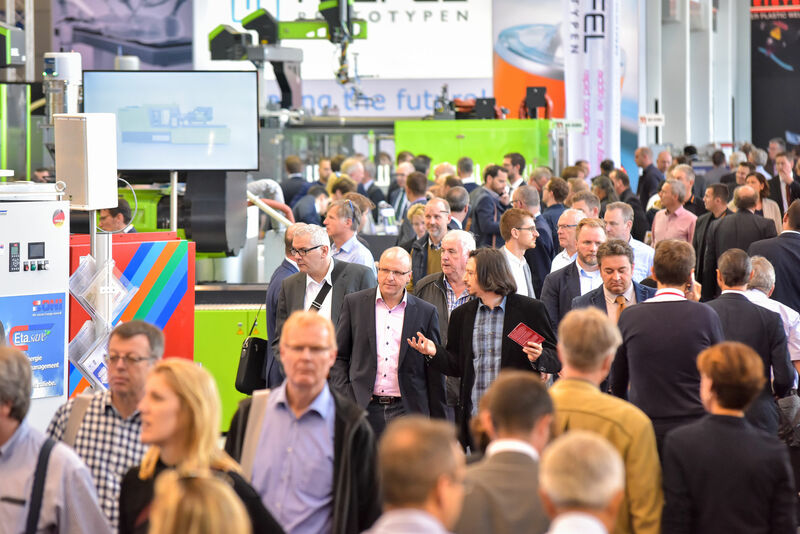 Expert visitors, specialists and decision-makers from more than 120 countries came to the last Fakuma in 2017.